This tour has all the fun and none of the stress. We take a TGV from Paris Gare de l'Est station to the center of Reims. Not only is Reims home to the most famous French wine, Champagne, it is also distinguished as the fountainhead of the French Nation. 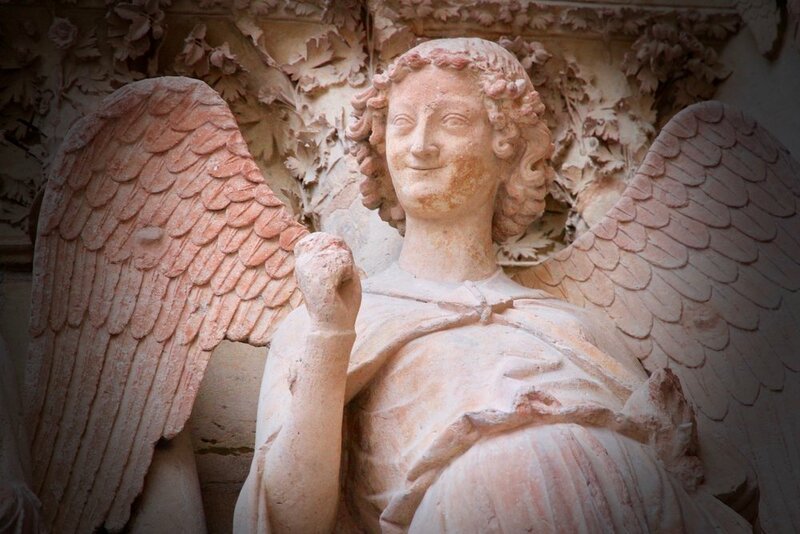 No trip to this city is complete without a tour of 'Our Lady of Reims Cathedral'. She is one of the oldest and finest examples of Gothic architecture in the world. But her true significance lies in the fact that it was here, in 498 that Clovis, the first King of France was baptized as a Christian. It is this very spot that proclaims to be the birthplace of France. We will take a tour with a professional guide to learn about her significant place in history and the role she still plays in modern day France. 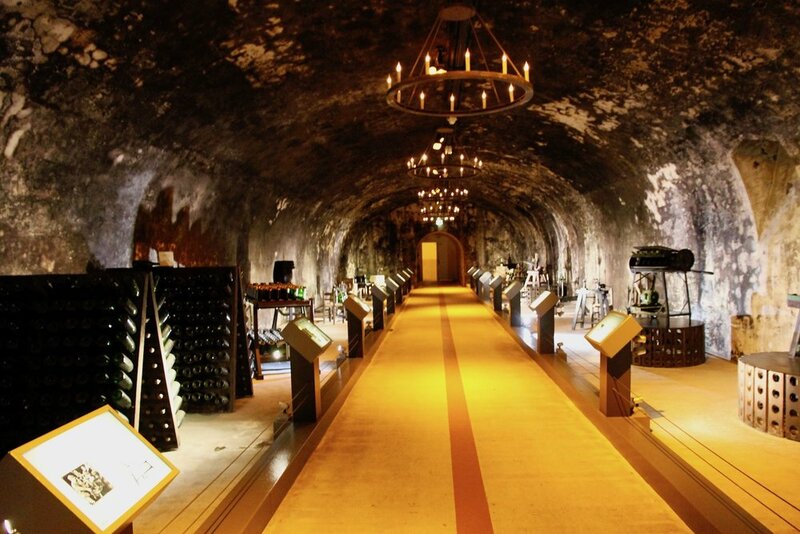 We take a tour (in English) and go deep into the cellars with one of the professional guides to get a glimpse of how champagne is produced now, and as it always has been through the ages. At the end of our tour, with your glass of champagne in hand, there is a fun interactive sniff test with our guide to see who has the best nose. Reims is well known for exceptional food. We will have a lot to choose from on the day. After lunch there will be time to roam around the streets of Reims at your own pace to explore and do some shopping. We will return to Paris via TGV railway and be back in Paris by dinner time. 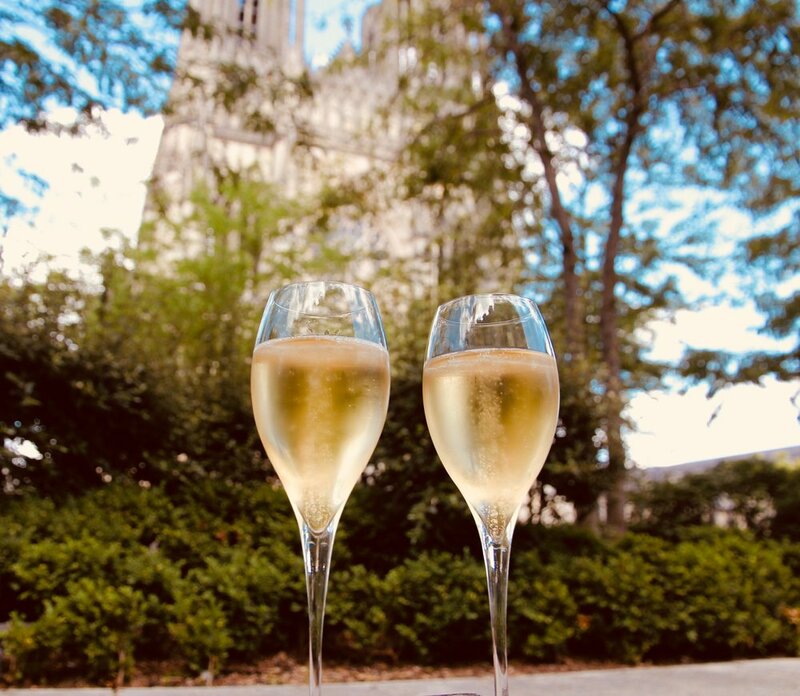 Champagne at the foot of Notre Dame de Remis. The cost of lunch is not included. You can expect to pay around 20 euros for a meal, not including drinks. There is a lot of walking in this outing so please wear comfortable shoes, bring water, and have an umbrella handy just in case! The order of events may change depending on the weather and other circumstances.